Basically unless I'm ill or running so late I haven't got a spare second, I always wear makeup. I'm the kinda of girl who will put on a full face just to sit in the house. Why? I love makeup! I'm so used to seeing myself with black outlined eyes I think I look odd without it, so when my alarm went off half an hour late the other morning and I had to face the world without my face on, what happened?! So what happened when I had to face work without a face full of slap? Not one person said a word! I didn't get a 'OMG ARE YOU OKAY?!' that I was expecting, I didn't even get a you look different. People just went about their day without saying a word. AND my world didn't end. I didn't end up sitting under my desk hiding my face. In fact, I felt so free and liberated I even posted a selfie on Instagram and got told I looked lovely! I even rubbed my eyes at work without fear of smudging my eyeliner everywhere or loosing an eyebrow! I hate my natural eyebrows which is why I always fill them in but no one said anything horrible! 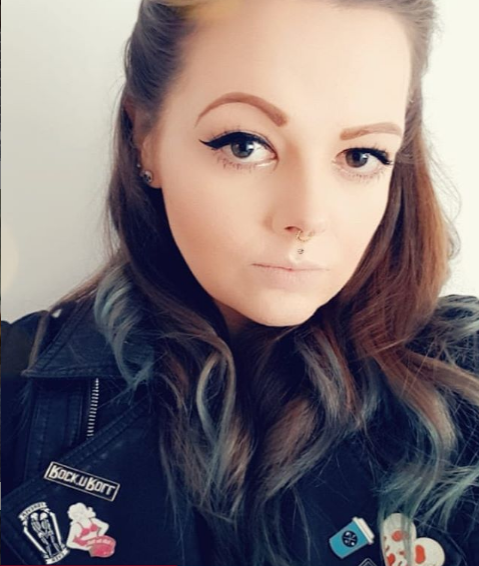 I did have a 'so you do actually have eyebrows' comment but considering the only person who's seen me without my brows in the last 5 years is my other half, it was so much better than I expected! My day without makeup hasn't changed my makeup ways (I can't just let it sit in my makeup bag and go to waste now can I?!) but it's certainly given me a bit of a well needed confidence boost! Have you braved the world barefaced? I go makeup free just about everyday in comparison to when I couldn't leave the house without any make up. My skins very grateful for it and I've gotten past feeling ashamed without it on. You, look beautiful with and without :) Just got to stick with what you're comfortable with. :). Yes you are lovely either way.